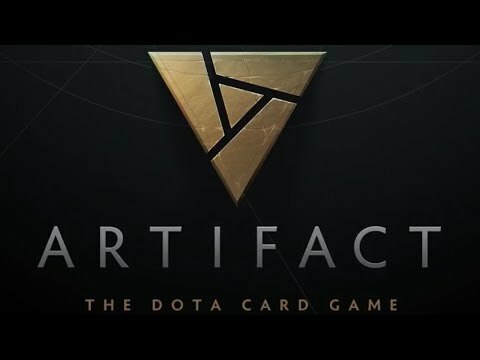 Today I will present you a game called Artifact and it will be on markets made by Valve. They have announced plans to launch Artifact, their digital card-battling adaptation of wizard management simulator Dota 2, on November 28th. That’s the plan. That’s what they say now. Valve’s first big game since Dota 2 in 2013, Artifact turns the MOBA into a card game where players build decks to make wizards fight across three ‘lanes’ of the table and murder the other wizards’ base. Unlike Dota 2, Artifact won’t be free-to-play, costing $20 to buy in with starter decks – and more for more cards. That $20 will buy you two pre-built decks of 54 cards plus ten of the booster packs which each contain 12 random cards, Valve’s Doug Lombardi told Ars Technica. Extra booster packs will cost $2 each. The base set will have “more than 280 cards”, Valve says, and expansions are planned too. And now let`s see the gameplay. It’s a 1v1 card game that plays out on three separate boards called lanes. Each lane has a tower with 40 health, and you win the game by destroying two of your opponent’s towers. But instead of playing out minions like something like Hearthstone, you control five heroes, all based on the ones from Dota 2 (along with some new ones). Your heroes are basically super strong minions with a special ability that can be buffed long term, deployed out onto the lanes. When a hero dies, it takes a turn off, then respawns into a lane of your choice. Weaker Creep minions will also spawn into random lanes at the beginning of each turn, and kill them or opposing heroes will give you gold to spend on items between turns. The game is still in prework so we have to wait a little bit. Overall I can say that we have to wait and see what kind of game is this.